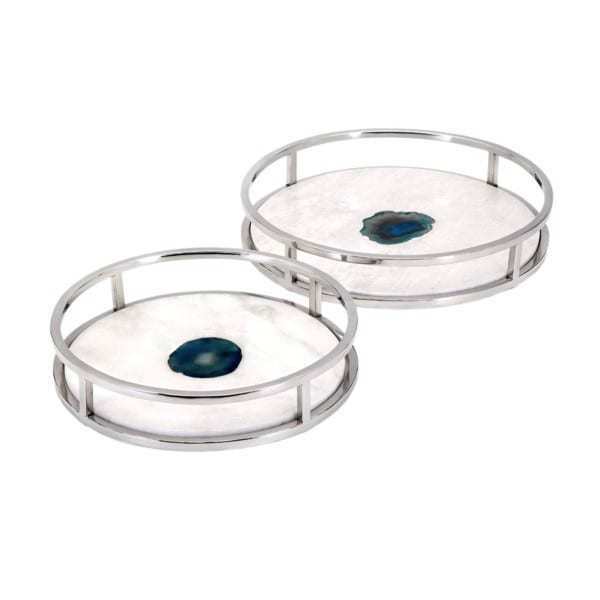 Set of 2 trays constructed using individual slices of agate stone placed in marble. The tops of these trays are constructed using individual slices of agate stone placed in marble. The bases are made from the highest quality stainless steel for a modern, sophisticated look.